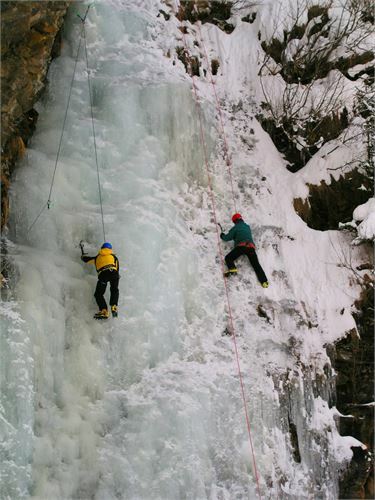 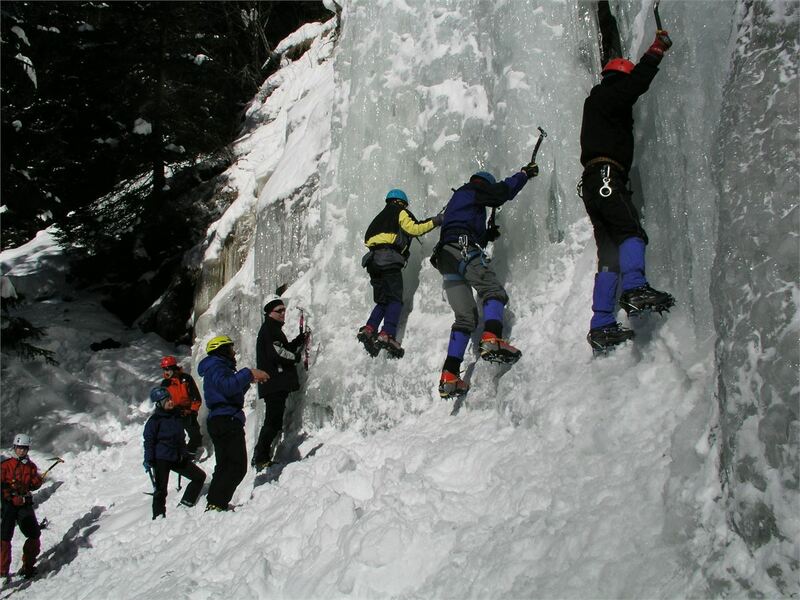 Ice climbing or waterfall climbing became a sport thanks to the consequent development of the ice climbing ustensils, the improvement of the equipment and modern teaching methods. 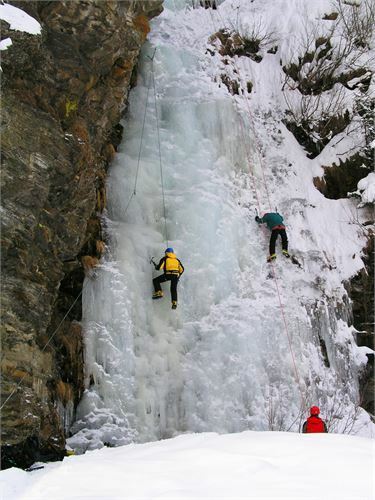 Ice climbing is comparable to sport climbing in summer. Artificial towers of ice enable us to learn without any risk a good ice technique in Tope Rope style. 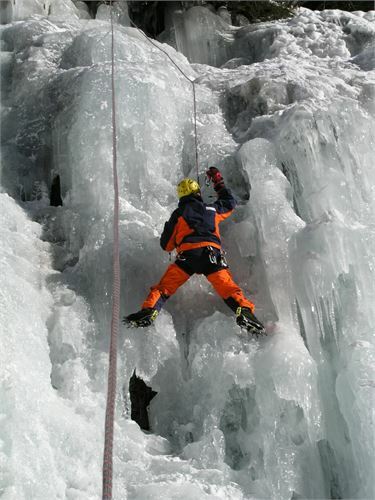 Later on, as an advanced climber, you learn the technique and tactic by climbing in fore climb. 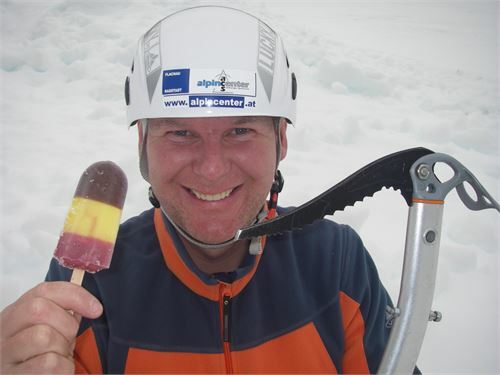 An experienced, international acknowledge Guide de Montagne is responsible for the safety standards and he ensures an adventurous and riskless ice climbing. 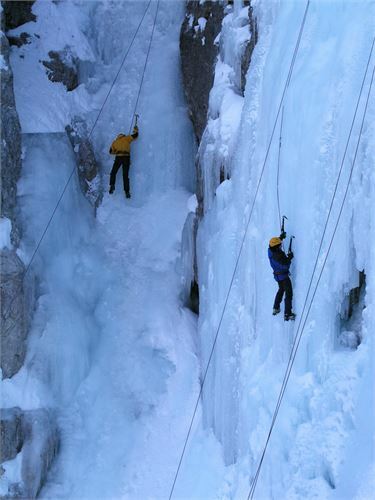 The access in this winter sport is methodically and meaningfully prepared and it is the entry ticket in a world of snow and ice. 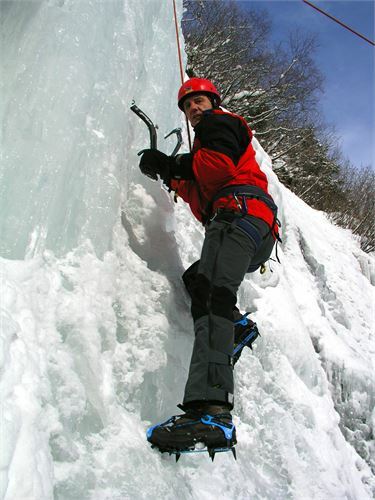 Description: Learning using the equipment. 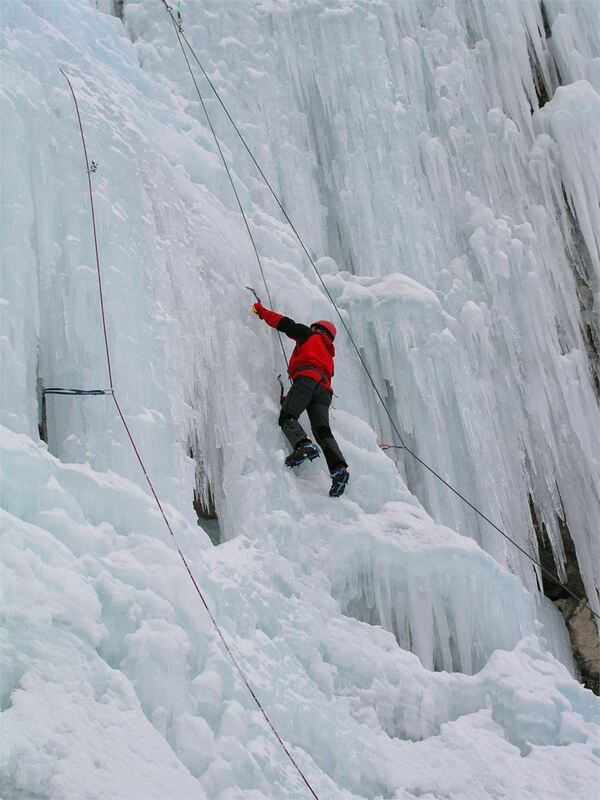 Climbing in tope rope at a 60 to 80 degree steep waterfall.